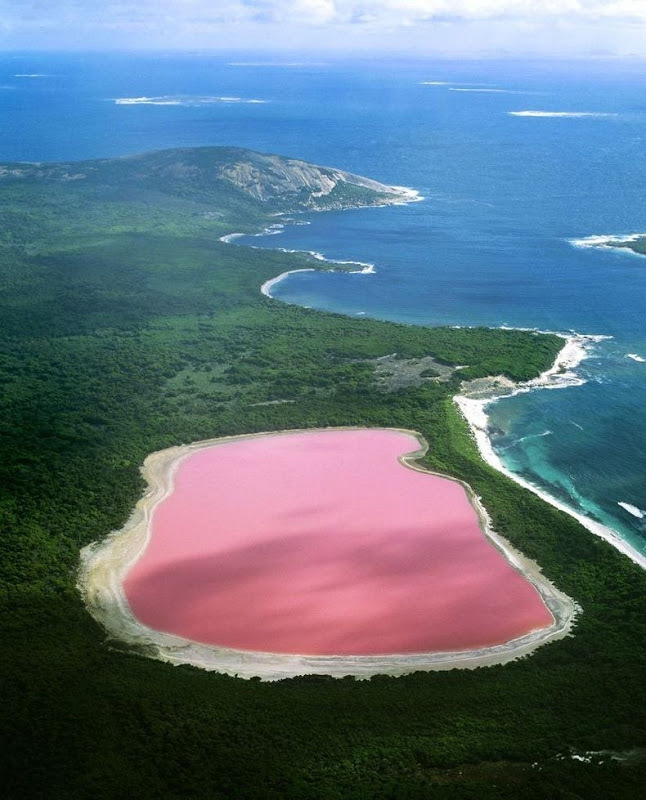 Lake Hillier is a pink-colored lake on Middle Island, the largest of the islands and islets that make up the Recherche Archipelago, Western Australia. From above the lake appears a solid bubble gum pink. It is such a significant distinguishing feature of the archipelago that air passengers often crane their necks to take a glimpse of it. The lake is surrounded by a rim of sand and a dense woodland of paperbark and eucalyptus trees. A narrow strip of sand dunes covered by vegetation separates it to the north from the Southern Ocean. It is a saline lake with a width of about 600 meters from the ocean and separated by a narrow strip of land. It has a shape resembling a footprint from the edge of the forest and is separated by a belt of sand mixed with salt. 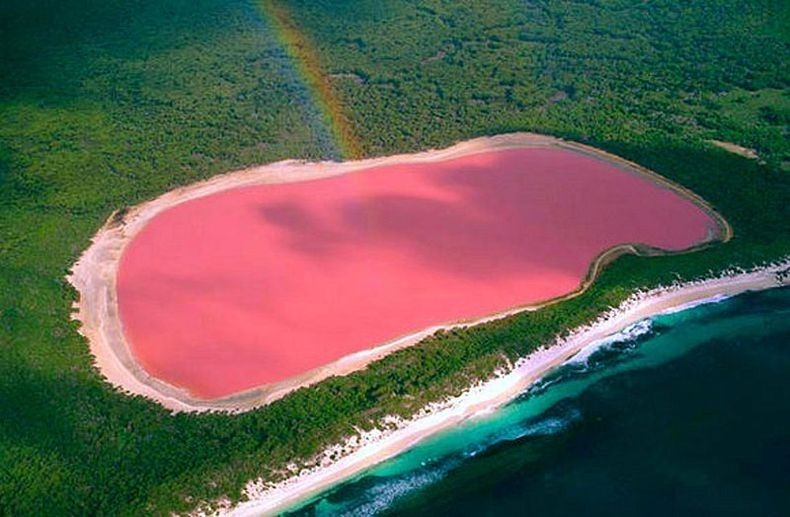 The pink color of Lake Hillier has not been decisively proved, although it is speculated that the color could arise from a dye created by the organisms Dunaliella salina and Halobacteria. 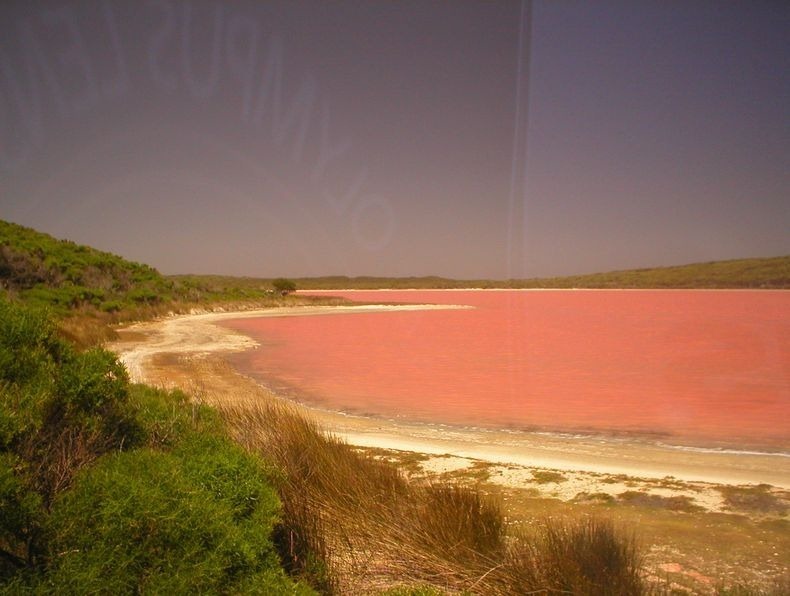 Another hypothesis is that the pink colour is due to red halophilic bacteria in the salt crusts. That the color is not a trick of light can be proved by taking water from the lake in a container. This Is Absolutely Fantastic! Magical Miniature Worlds by Matthew Albanese! Can u swim in it?